Third Pan European Congress of Military Medicine, gathering about 200 eminent national and international experts, was solemnly closed at the Military Medical Academy’s amphitheater. 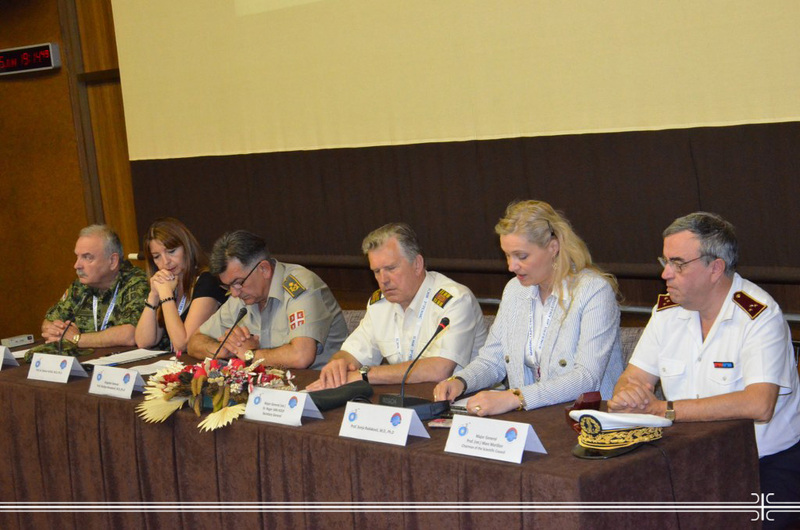 Congress of Military Medicine, Third for the Pan European Group, had the aim to share experiences and establish collaboration between the member countries. Brigadier General Prof. Dr. Marijan Novaković expressed his gratitude to all attendees, pointing out the occasion of meeting people and finding contacts, as the greatest importance of this event. At the closing ceremony, he delivered the plaques to the Chairman of Scientific Council of the International Committee of Military Medicine (ICMM) Major General Prof. Dr. Marc Morillon, the ICMM Director of Communication Paul Zabouri, the ICMM Deputy Secretary General Colonel Dr. Pierre Neirinckx, Brigadier General Dr. Johan de Graaf and the ICMM Secretary General Dr. Roger van Hoof. -When we arranged the Congress organization, I seriously doubt to manage all. Today, I am proud at the complete organization. Although we were faced with the floods couple days before the beginning of the Congress, we achieved to come up to the participants’ expectations, said Brigadier General Prof. Dr. Zoran Popović, Director of this year Congress. He also showed his appreciation to the ICMM members who have addressed to Serbia their letters of support, offering assistance in Congress organization. Congress participants visited Oplenac and light field hospitals in Obrenovac, which were formed by the members of the Defence Ministry and Serbian Armed Forces to provide citizens professional medical care round clock.